Vertically oriented and rendered in oil on Masonite. 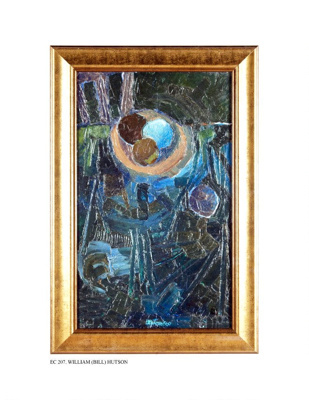 The composition depicts abstract geometric shapes, rendered in a deep palette of blue, green and eggplant pigments. This is one of Bill's early transitions from figurative to abstract.